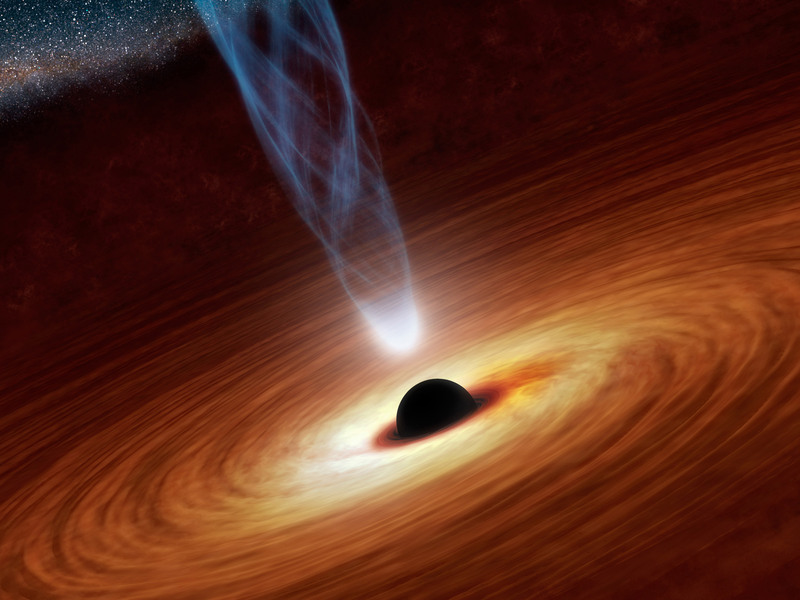 NASA's NuStar and ESA's XMM-Newton have studied the spin rate of a supermassive black hole. NASA and the European Space Agency (ESA) have teamed up to, for the first time, measure the spin rate of a black hole with a mass 2 million times that of our own sun. 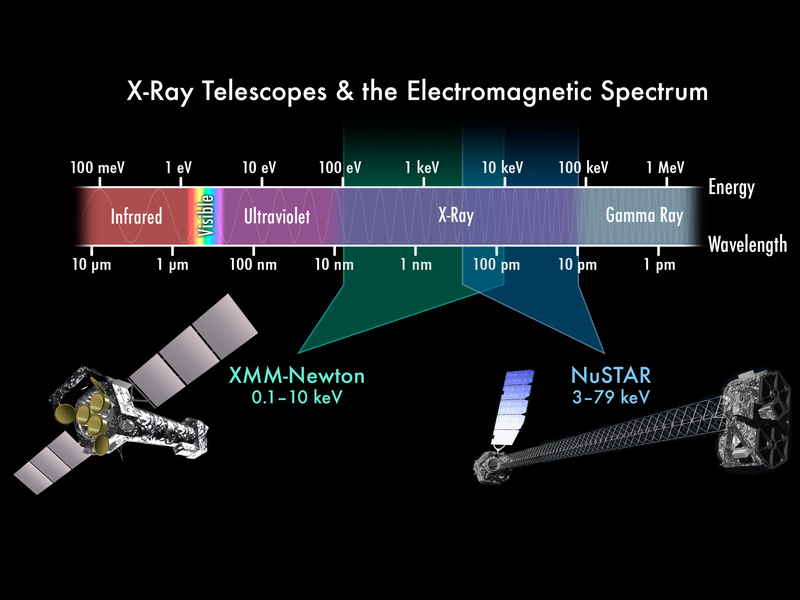 In their findings the scientists analyzed data from several satellites to put Einstein's theory of general relativity to a real test - which says gravity can bend space-time and light. 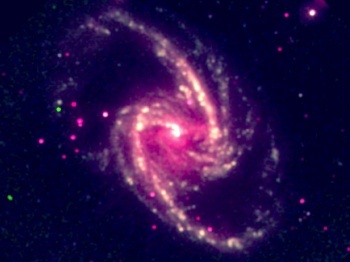 The black hole is about 2 million miles across, and according to the Harvard-Smithsonian Center for Astrophysics report has a surface spinning at nearly the speed of light. 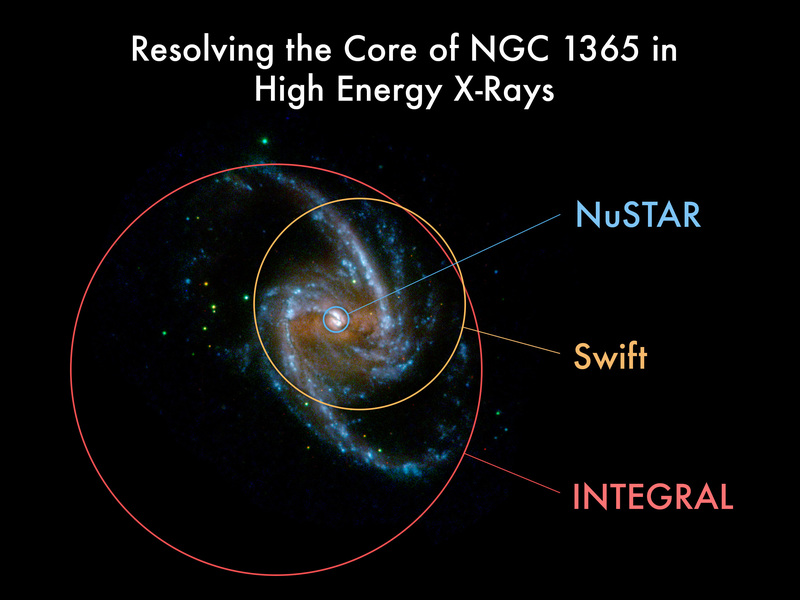 "We can trace matter as it swirls into a black hole using X-rays emitted from regions very close to the black hole," explans NuSTAR principal investigator Fiona Harrison. "The radiation we see is warped and distorted by the motions of particles and the black hole's incredibly strong gravity. 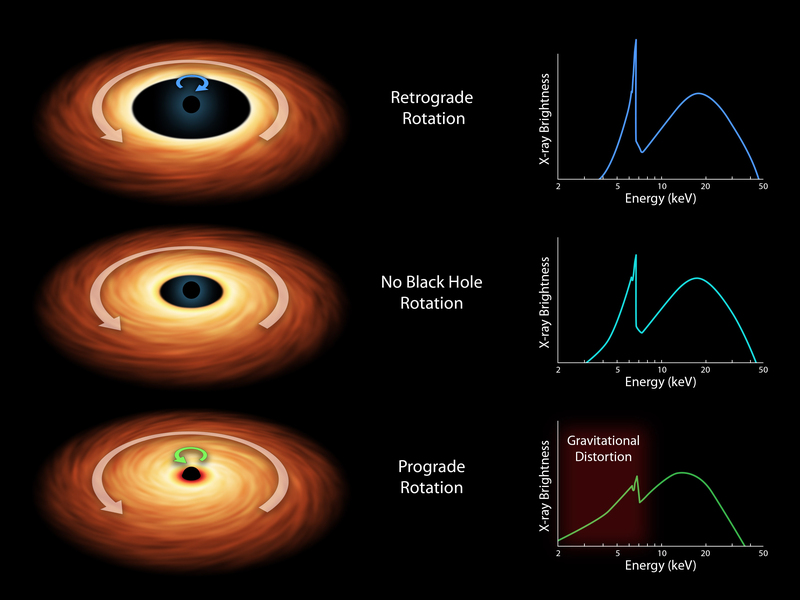 Learning about the spin rates of supermassive black holes is intended to help scientists understand the origins of the universe. "These monsters, with masses from millions to billions of times that of the sun, are formed as small seeds in the early universe and grow by swallowing stars and gas in their host galaxies, merging with other giant black holes when galaxies collide, or both," said study lead author Guido Risaliti. Supermassive black holes are surrounded by accretion disks of matter being pulled inward, which emit X-rays due to the high rate of friction. 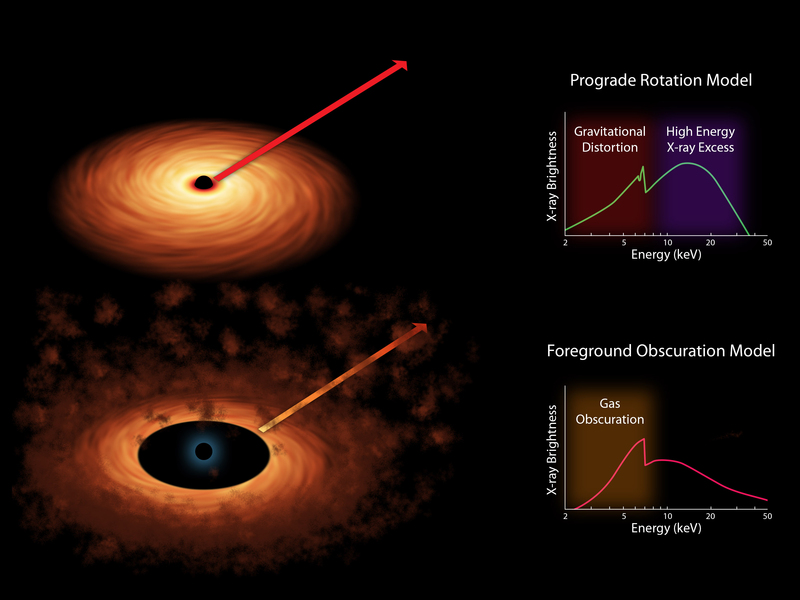 In theory, the faster the hole spins, the closer the accretion disk should be to the hole. The closer the disk, the more gravity will warp X-ray light from the disk. 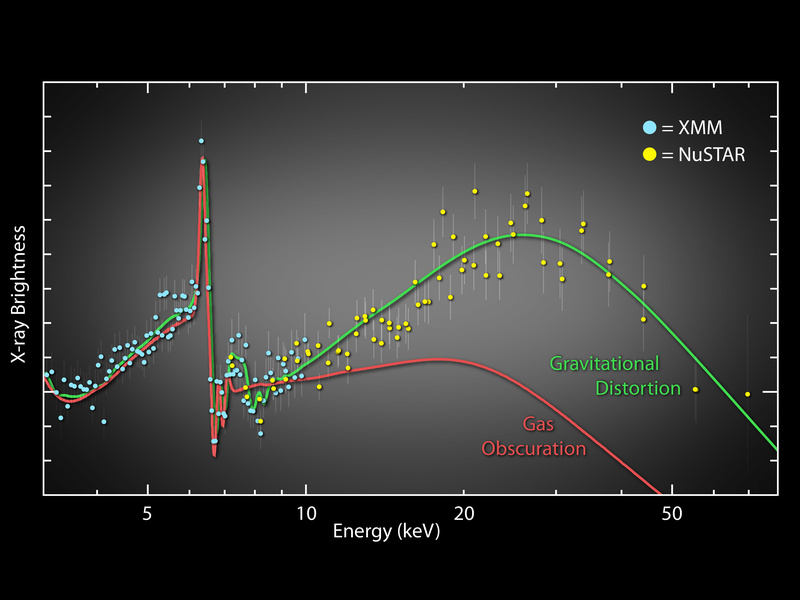 ESA's XMM-Newton proved that light was being warped, and NASA's NuSTAR higher energy X-ray showed that gravity must be causing the warping. "The black hole's spin is a memory, a record, of the past history of the galaxy as a whole," said Risaliti.